Retail executives from across the globe attended the National Retail Federation’s BIG Show in New York City Jan. 15-17. 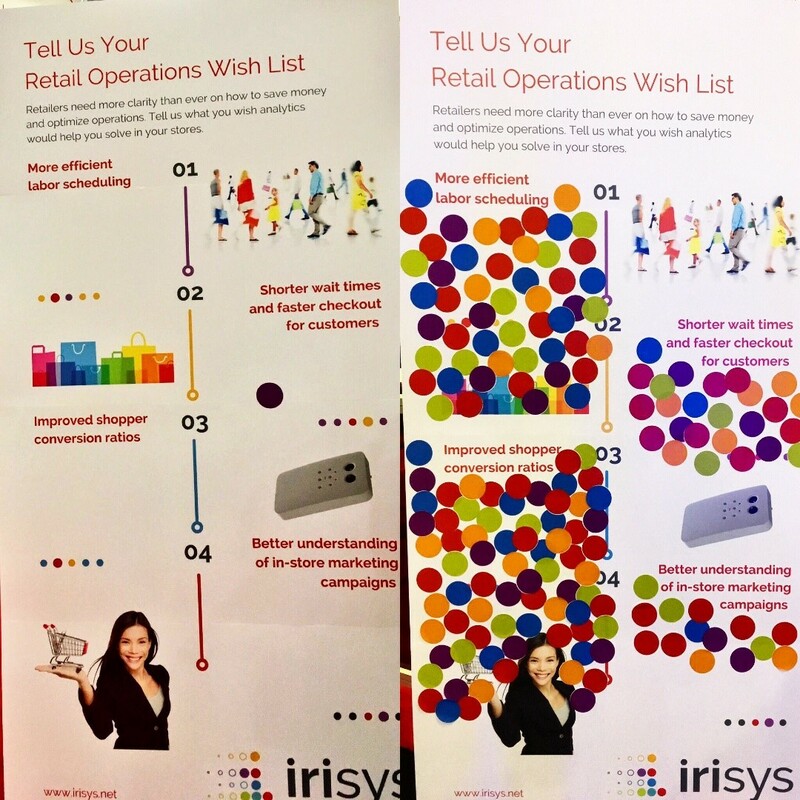 At the show, Irisys held an interactive survey at its exhibit to identify what performance area retailers need analytics to help them improve. The responses from the 192 participants of the “Retail Operations Wish List” survey were clear – better customer conversion is the top priority. More than 47 percent of those surveyed said they need a retail analytics solution to help them increase conversion ratios. And another 32 percent of respondents believe more efficient labor scheduling is the highest value retail analytics can provide their in-store operations. That means retailers are actively looking for solutions that will help increase revenue and decrease costs. For that to occur, data prioritization may be in order. Vector 4D, developed by Irisys and launched at NRF’s BIG Sow, is the newest, most advanced technology on the people counting market today and further improves the accuracy and expands the capabilities in how footfall data is collected. Vector 4D’s Time of Flight (ToF) technology is a cutting-edge solution that detects, tracks and measures people’s movement with state-of-the-science sophistication to deliver a new, more complete picture of retail traffic – a picture that is clearer and more accurate than those available through any predecessors. Irisys’ newest retail technology solution consistently provides the tools and intelligence retailers need to improve conversion ratios and optimize staff scheduling.